HVAC Efficiency and Longevity: Sometimes more than just a thin layer, dust and debris in ducts can build up inches thick! This effectively shrinks the passageway for the circulation of hot or cold air–which is why you have a heating and air-conditioning system. Clean ducts are fully open passageways and can mean greater efficiency and lower energy bills. Also, dirt and dust are the main culprits in HVAC maintenance issues, and it is logical to abate these equipment hazards. Put simply, keeping your ducts clean is a quick and cost-effective way to help your heating and cooling system work better and last longer. Any mechanical system works better when it works clean. Healthier Breathing: The service provided by American Duct Cleaning can remove dangerous air particles such as mold, fungus, bacteria, dander, smoke particles, pollen, dust mites, mildew and very fine dust. Healthy people in modern society must withstand small amounts of these inhalants every day, but obviously, nobody should be breathing these contaminants in any substantial quantity for the 60 to 90% of time spent indoors. Homeowners should be especially careful to maintain the best air quality for seniors, children and those with asthma, allergies or other respiratory problems. According to the American Academy of Allergy, Asthma and Immunology, about 50% of illnesses are either caused or aggravated by poor indoor air quality. Some 12 million Americans suffer from asthma, and more than 50 million from allergies. The level of some hazardous pollutants in indoor air has been found to be up to 70 times greater than in outdoor air. Cleanliness of Home Interior: Another benefit of duct cleaning is the potential for less dust on your furniture. Because there is less dust in your home, you will likely see less dust on surfaces, and consequently you will have to dust and clean less often. 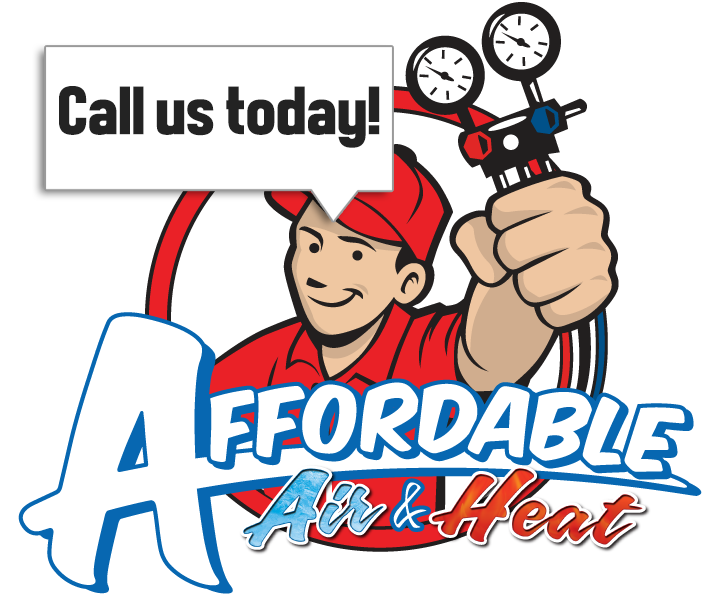 When you need Air Conditioner Repair, call Affordable Air & Heat! Fully licensed and insured, Affordable Air & Heat is your number one choice for all residential, commercial AC services in Miami-Dade, Broward, and Palm Beach Counties. Your satisfaction is our number one concern!